This research guide is designed for law students interested in researching and learning more about elder law. This topic encompasses a variety of legal issues that arise for older people, including eligibility for public benefits, estate planning, and the protection of vulnerable adults. This guide is divided into 5 parts: Introduction, Organizations & Government Entities, Current Awareness, Secondary Sources, and Primary Sources. The Introduction page is an excellent place to begin if you are unfamiliar with this area of law. The study aids will help you gain a better understanding of this area of law and provide you with the knowledge needed to thoroughly research your legal issue. The suggestions on Developing a Research Strategy will help if you are writing a paper in this area. The Organizations & Government Entities page will provide you with links to organizations, associations, and government entities. These resources may be useful when beginning your research. The Current Awareness page will provide you with links to blogs, news, and other sources of current awareness for this topic. Current awareness sources are useful when you are developing a research topic, or when you need to stay up-to-date with recent developments in this area of law. The Secondary Sources page will includes links to treatises, law reviews and journals, and other materials that will provide you with an overview of the area of law, along with expert commentary and analysis. The Primary Sources page will provides access to cases, statutes, regulations, and other primary sources you should consult when researching this area of law. Mastering Elder Law explores concerns that commonly arise when representing the elderly client. The book focuses on public benefits, retirement systems, age discrimination, wealth transfers, medical decision making (including ''the right to die''), guardianships and conservatorships, durable powers of attorney, long-term care, housing, abuse, and ethical problems. The book also explores overarching themes such as the tension that results when the state simultaneously attempts to protect its vulnerable citizens and promote their autonomy. The text includes examples throughout and provides a straightforward description of complex topics such as Social Security, Medicare, and Medicaid. 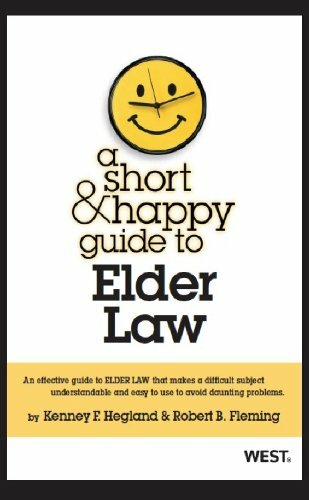 Students taking elder law, working in elder clinics, or simply dealing with aging relatives, should be assigned this book. Quick and easy it offers a legal checkup and describes how it is to grow older. It covers the legal issues, but also the critical not-on-the-syllabus issues: talking to one's family, recognizing elder abuse, dealing with disability and death. 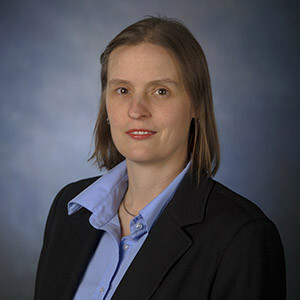 Kenney Hegland is known for clear writing and questionable jokes; Robert Fleming, in the trenches for 35 years, is known, along with Professor Rebecca Morgan, as the "rock star" of NAELA (National Association of Elder Law Attorneys). Learn more about this series at ShortandHappyGuides.com. The following are additional research guides created by other schools that could be of assistance. The library catalog for the GSU University Library and GSU Law Library. Use this to locate books, journals, movies, and databases available through the GSU libraries. Databases available to students through the GSU Law Library. A list of non-legal databases provided by the University Library, organized by topic.